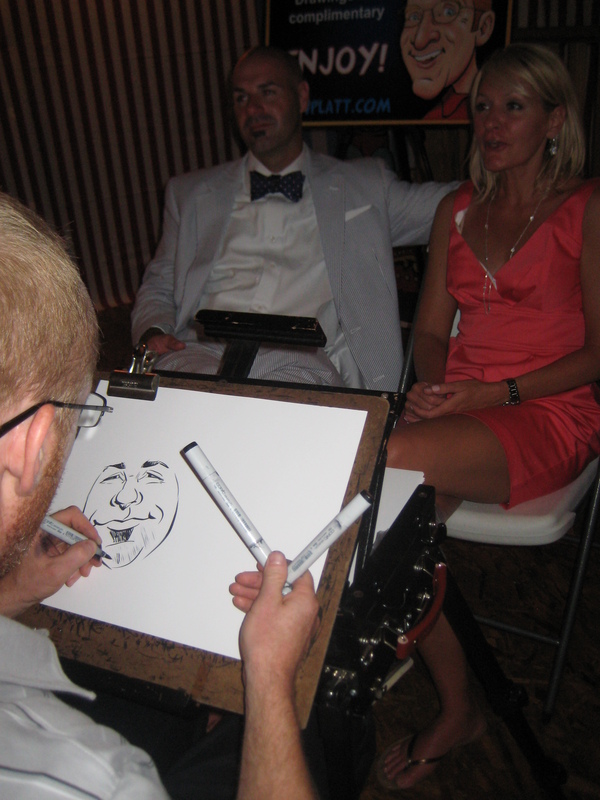 A Bride and Groom might assume that at their own Circus of Love Celebration – they would be the main attraction…but in our case – Mr. Sean Platt, caricature artist extraordinaire, stole the show. And…we couldn’t be happier about it! Originally, we hired Sean for two hours – but after being told numerous times that our guests were waiting in line for almost an hour for his services, we asked him to stay for the entire six hours. He had a line out of the barn for the rest of the night! I am not even sure if the poor guy got up to use the men’s room! Thankfully, I do know that my Aunt Lorna and my mother were providing him with water. 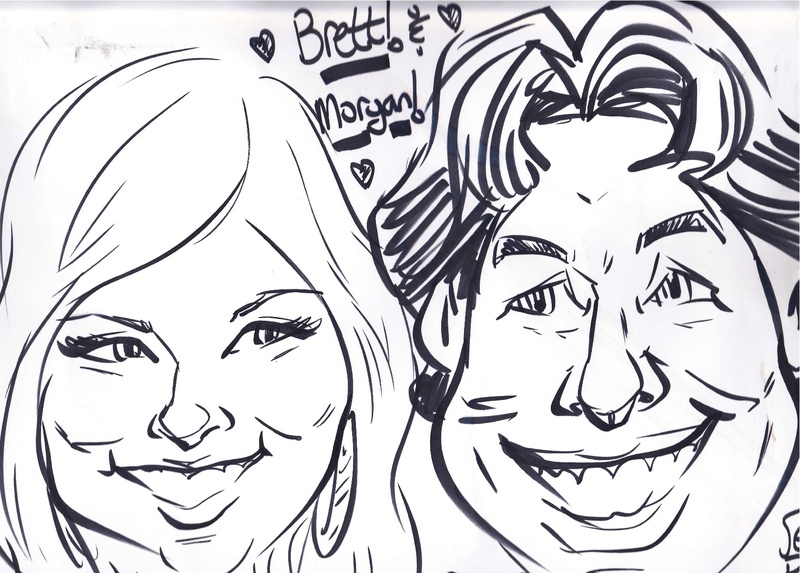 Well – I assume it was water and not bourbon…although Brett and I were the last to get our caricature drawn, and I look a bit more like Kelly Ripa than Morgan Hutchinson and he looks a little more like John Travolta. That said – Mr. Platt was wonderful and we highly recommend him! 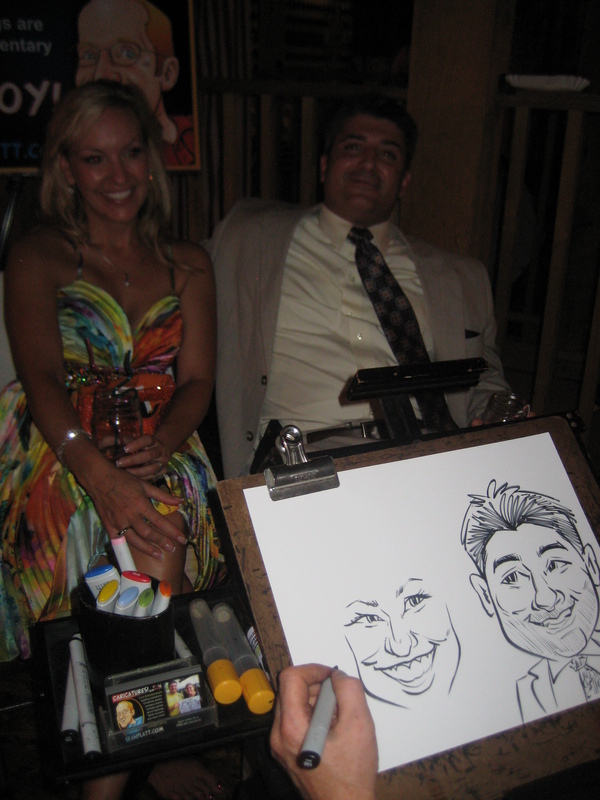 Now I would like to call on all of you who had your caricature drawn at the party!! Please email them to me at morganbhutch@hotmail.com and I will add them to this post! 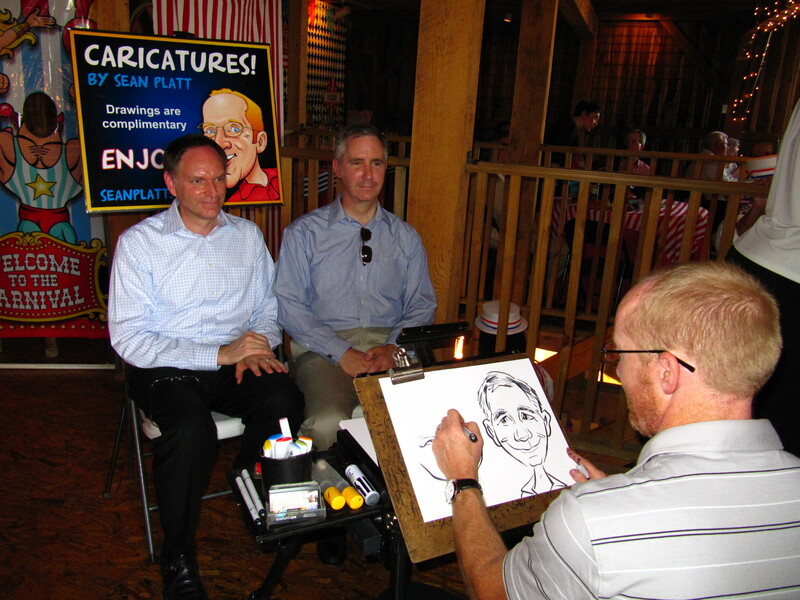 I already have a few… Also, don’t forget to subscribe to the blog so you will receive a notification when I upload a new caricature drawing. 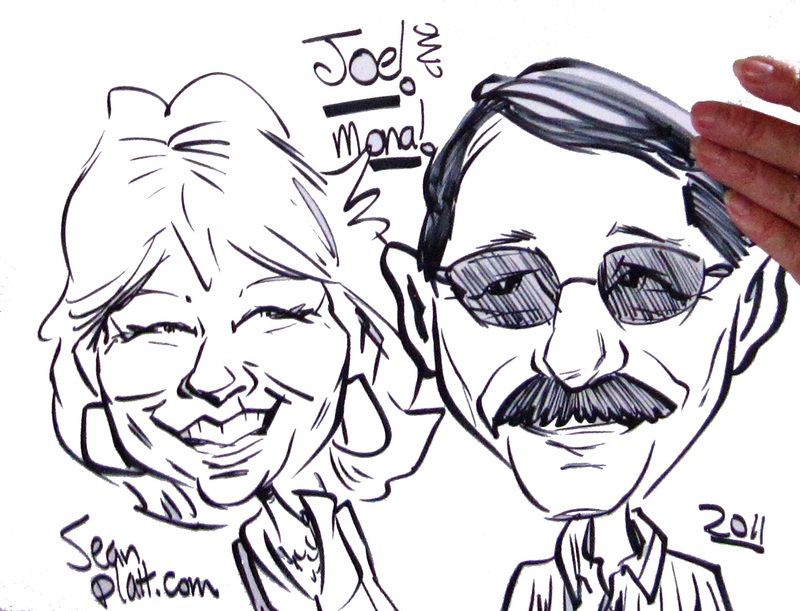 Mona (Mother of the Bride) and Joe Bolin. Mom - how is he supposed to draw you while you are cackling like a hyena? By the way, Joe - he nailed you! Mom and Joe. The Finished Product! Two of our favorite New Yorkers... Michael Zorich and Greg Reed! Greg....I totally recognize this facial expression! It is so you! Craig and Lisa Lomonico. The first two Ohio friends I met of B's. LOVE them! 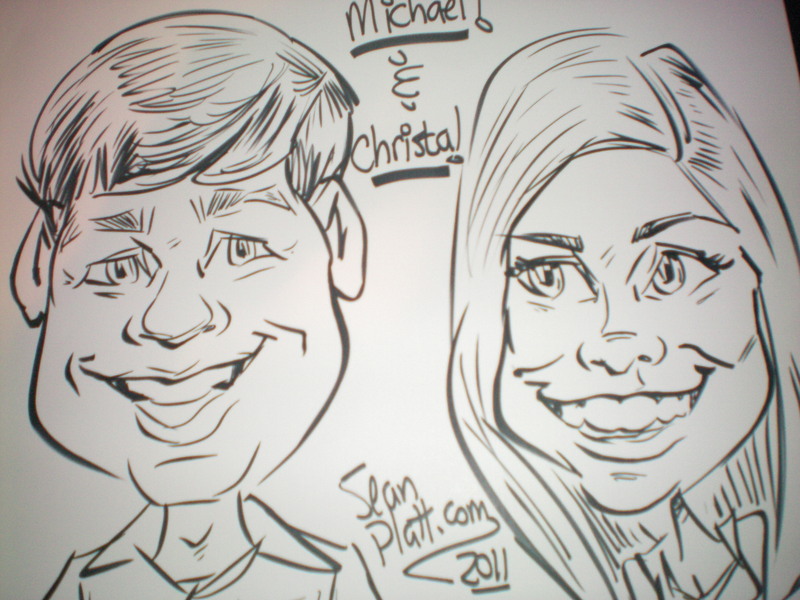 Christa (my beautiful friend from college...although you really can't tell from this caricature!) and Michael Ketchum. Love love and more love! These are amazing! 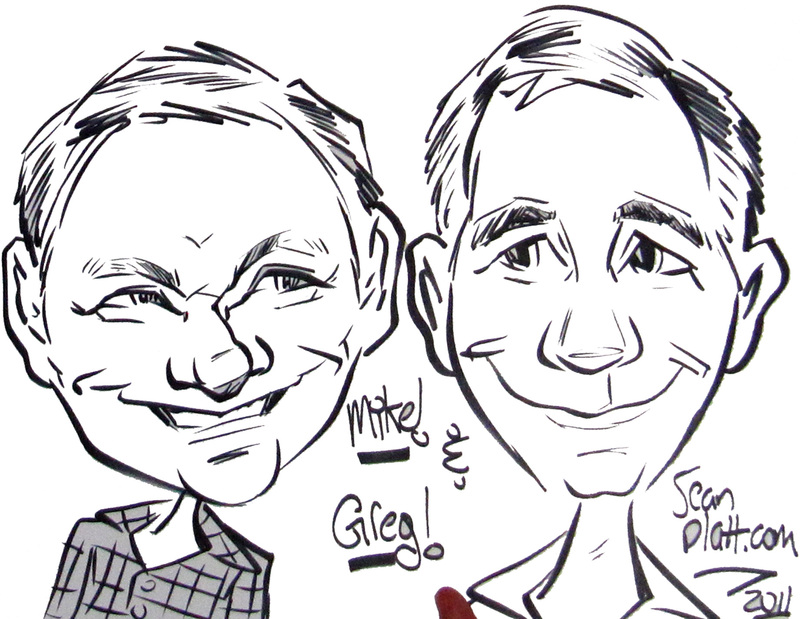 Michael and Greg’s takes the cake – perfect of both of them! 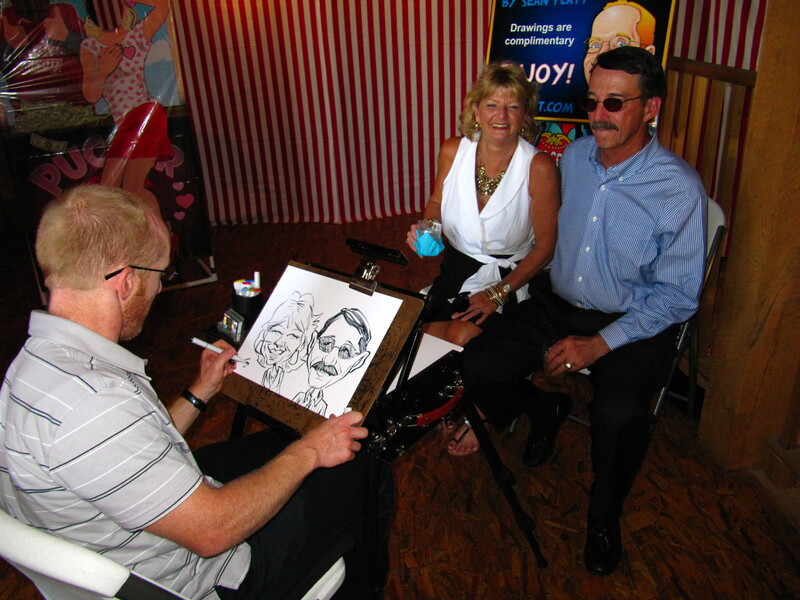 Who took the photos of him drawing each couple? What a great way to see how good he really was! Incidently … that IS a necklace I have on…NOT chest hair!! Cute! What a neat idea! I keep trying to reach you I’m in Beijing Sept 7th -17th and would love to hang out one day when my fiance is working!